Halal India is very pleased to introduce ourselves as one of the established Halal Certification body in India. We are committed to achieve excellence in consultation, issuing Halal Compliance Certification, Independent Auditing & Monitoring systems and promoting other acceptable products and services as per shariah (law). We endeavor to ensure that halal consumers as well as its service providers and business derive benefits from that which is lawful and goverence to Shariah (law). "TO SPUR THE INDIAN & INTERNATIONAL HALAL INDUSTRY AND SERVE PERMITTED (HALAL) FOODS, DRUGS, and COSMETIC PRODUCTS TO THE GLOBAL MUSLIM COMMUNITY BY FACILITATING THE ACCESS TO QUALITY HALAL CERTIFIED PRODUCTS". ♦ To educate through constant promotional tours around India & world with the objective of inspiring and encouraging Muslims to choose and use only halal-certified products. ♦ To position the halal market as an economically viable tool and induce product manufacturers to ensure that their products are halal certified. ♦ To facilitate the marketing and sourcing of halal certified products and services for direct manufacturers, buyers, agents, investors and business communities in India and around the world. 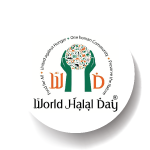 ♦ To support international halal agencies in their efforts to encourage product manufacturers to seek halal certification for their products and services.